The musical theme for this television series was written by Jerry Goldsmith, however over the four seasons of the show, several composers provided music and arranged the Goldsmith theme several times. The version above from season two was done by Lalo Schifrin, famous for composing the theme from Mission:Impossible. According to my research, this version was apparently not liked by Jerry Goldsmith but, oddly enough, season two was the most watched season and the most famous. For me, it remains the distinctive theme of the entire series. This is the end title sequence from the first episode of UNCLE's second season, ALEXANDER THE GREATER AFFAIR (September 17 and 24, 1965), featuring Lalo Schifrin's new arrangement of Jerry Goldsmith's original theme. 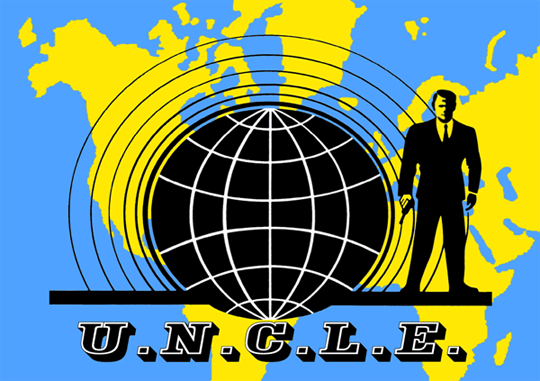 Wikipedia: The Man from U.N.C.L.E. The theme music, written by Jerry Goldsmith, changed slightly each season. Goldsmith provided only three original scores and was succeeded by Morton Stevens, who composed four scores for the series. After Stevens, Walter Scharf did six scores, and Lalo Schifrin did two. Gerald Fried was composer from season two through the beginning of season four. The final composers were Robert Drasnin (who also scored episodes of Mission: Impossible, as did Schifrin, Scharf, and Fried), Nelson Riddle, and Richard Shores. The music reflected the show's changing seasons—Goldsmith, Stevens, and Scharf composed dramatic scores in the first season using brass, unusual time signatures and martial rhythms, Gerald Fried and Robert Drasnin opted for a lighter approach in the second, employing harpsichords and bongos and by the third season, the music, like the show, had become more camp, exemplified by an R&B organ and saxophone version of the theme. The fourth season's attempt at seriousness was duly echoed by Richard Shores' somber scores. U.N.C.L.E. 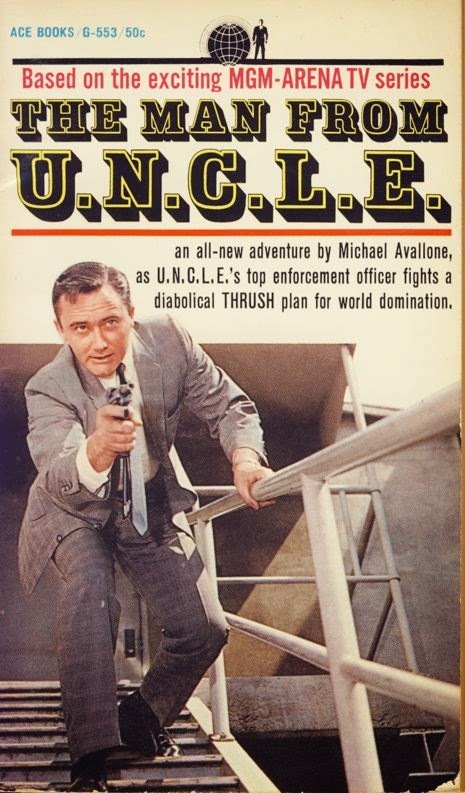 is an acronym for the fictional United Network Command for Law and Enforcement, a secret international intelligence agency featured in the TV series The Man from U.N.C.L.E. and The Girl from U.N.C.L.E.. Both were 1960s TV series produced in the United States. Jerrald King "Jerry" Goldsmith (1929–2004) was an American composer and conductor most known for his work in film and television scoring. He collaborated with some of film history's most prolific directors, including Robert Wise (The Sand Pebbles, Star Trek: The Motion Picture), Howard Hawks (Rio Lobo), Otto Preminger (In Harm's Way), Joe Dante (the Gremlins films, The 'Burbs, Small Soldiers), Roman Polanski (Chinatown), Ridley Scott (Alien, Legend), Steven Spielberg (Twilight Zone: The Movie), and Paul Verhoeven (Total Recall, Basic Instinct, Hollow Man). However, his most notable collaboration was arguably that of with Franklin J. Schaffner, for whom Goldsmith scored such films as Planet of the Apes, Patton, Papillon, and The Boys from Brazil. As a young teenager (a tween? ), I owned books based on the TV show including the following novel. Not only did I watch the series, I read about it like a true FANatic. For Christmas one year, I got a Man from U.N.C.L.E. gun, a plastic replica of an automatic with the various detachable parts to turn it into a rifle: stock, silencer, telescopic sight, and bipod. Funny now, but it was pretty serious stuff at the time. I so wanted to be a cool spy. James Bond indeed.